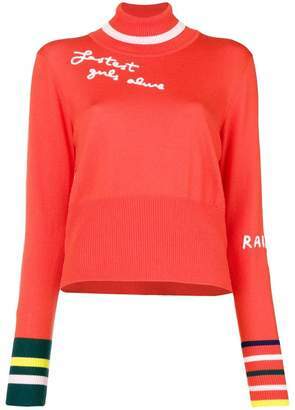 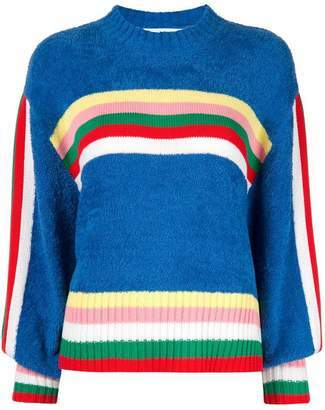 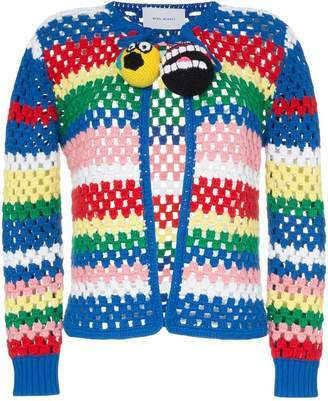 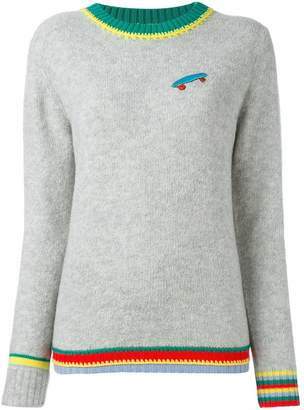 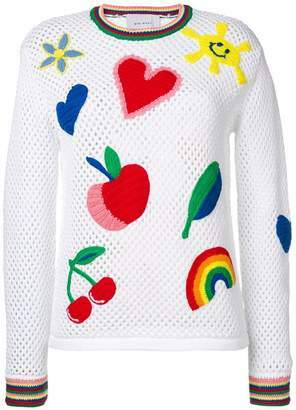 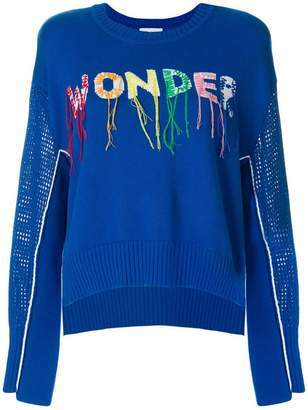 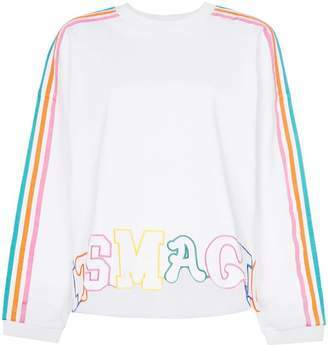 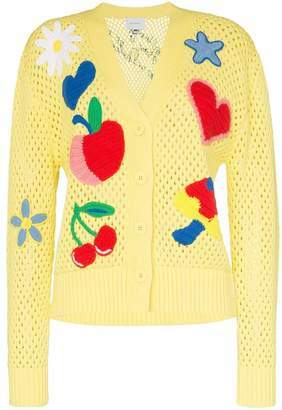 This Love More cotton and cashmere sweater with vibrant colors embodies the unique pop style and the touch of impertinence of Mira Mikati. 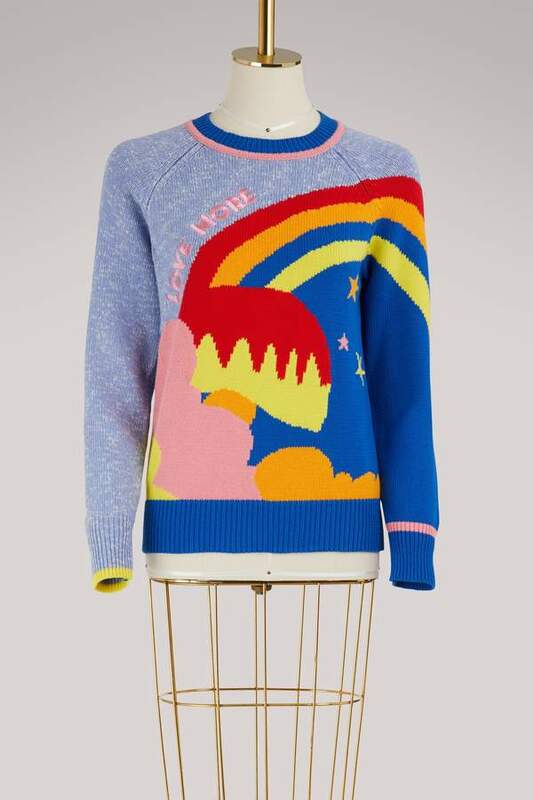 With its playful, colorful landscape and its messages tinged with humor, this piece is a real trigger of a good mood. 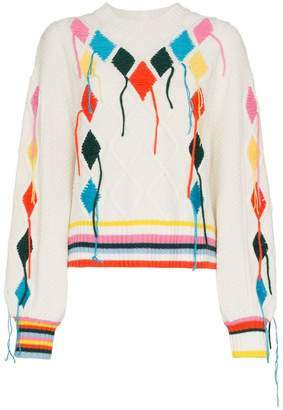 It can be worn with skinny jeans and heels to feminize the outfit while allowing this soft piece to express itself.